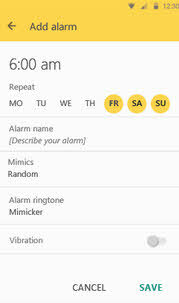 Mimicker Alarm is free alarm app from microsoft.It helps you to wake up by playing Mimic game. To dismiss alarm, you may play a game like snap a selfie or speak a phrase.if you don’t finish in time, it will start ringing again. Multiple Mimics to wake up like Match the expression, capture the color, complete the tongue twister, or shuffle between all three. 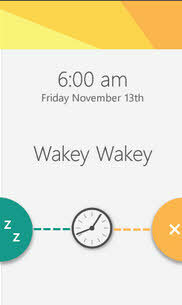 Personalized images you can share with friends after each alarm.